We’ve all experienced it: You go to the grocery store, pick up a bunch of bananas, and while they’re perfectly ripe on Monday and Tuesday, the remaining bananas are a mushy mess by the weekend. It’s no way to live. Well, that will no longer be a problem — at least in Korea. 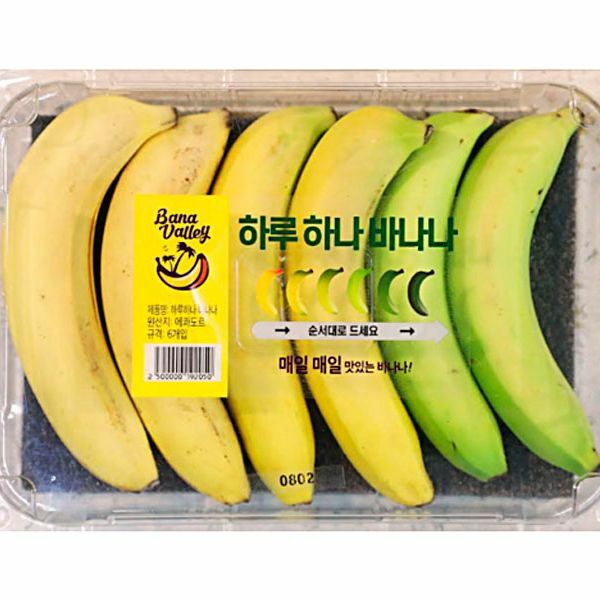 This week, Twitter user and blogger @AskAKorean pointed out (via Daum) that Korean grocery-store chain E-Mart has started selling packs of five bananas, each at varying stages of ripeness. On the far left, a banana you could eat the day of purchase, and at the far right, a banana that will be good in a few days. E-Mart has dubbed its new invention, “haru hana banana” or the “one-a-day banana.” Nothing will ever be the same.